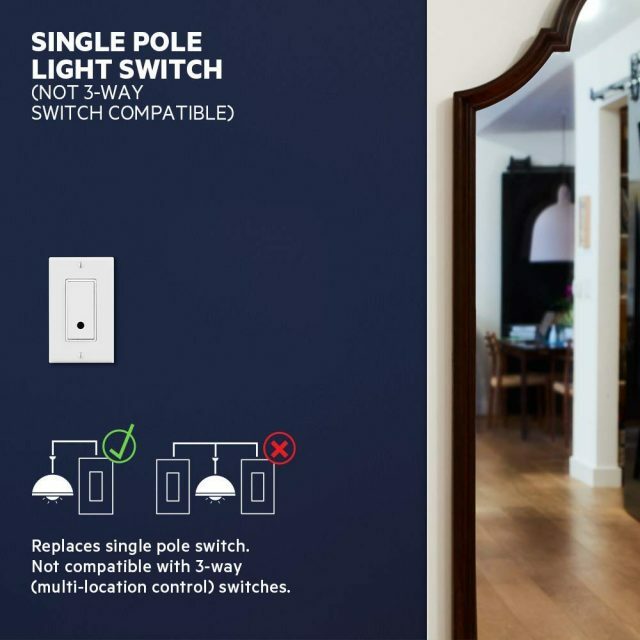 The Wemo WiFi Light Switch uses your existing home WiFi network to provide wireless control of your lights from anywhere in the world. 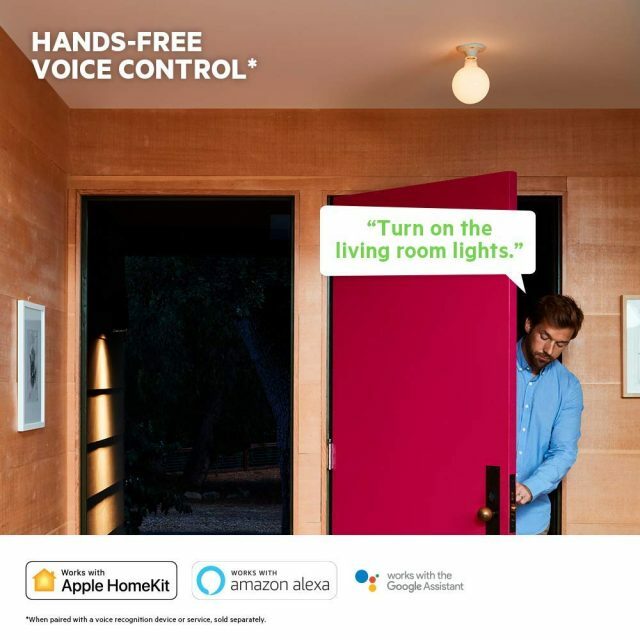 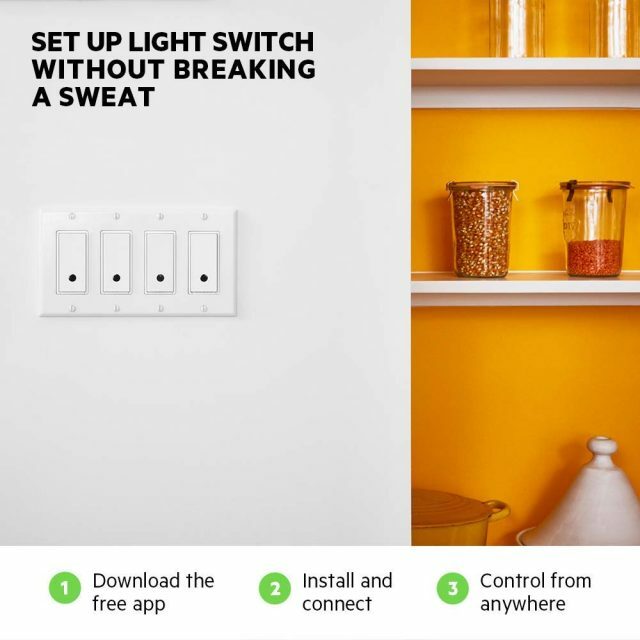 No subscription or hub is required: simply install the light switch and start controlling your lights from your phone or tablet. 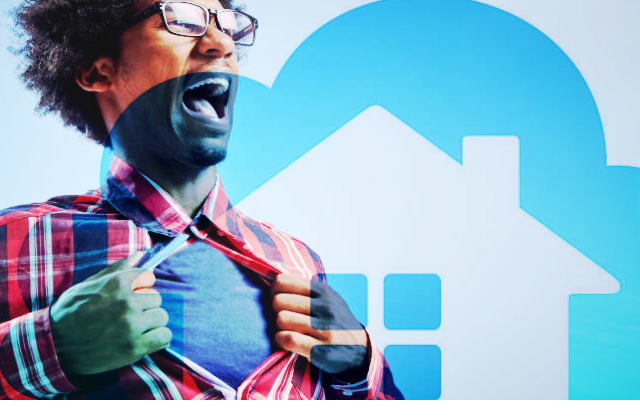 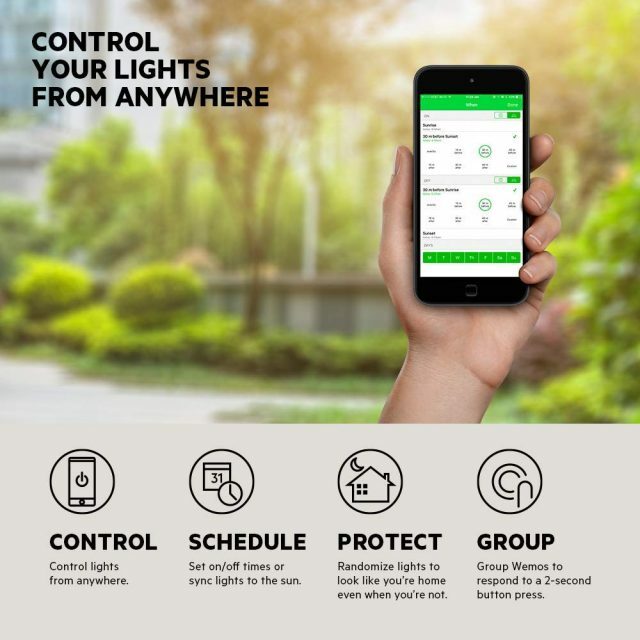 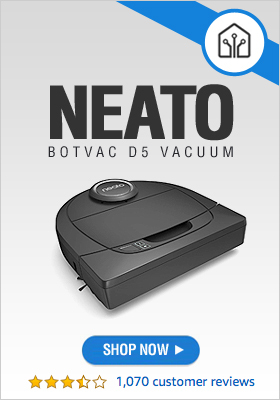 Using the free Wemo app, you can switch your lights on and off and set worry-free schedules no matter where you are. 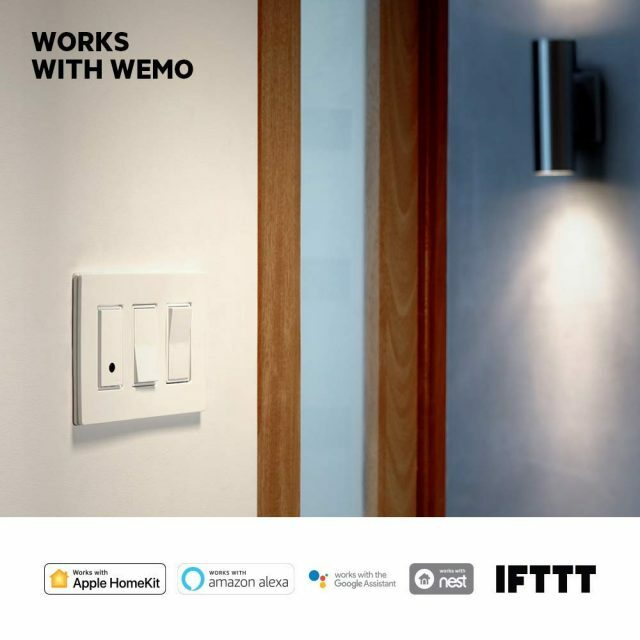 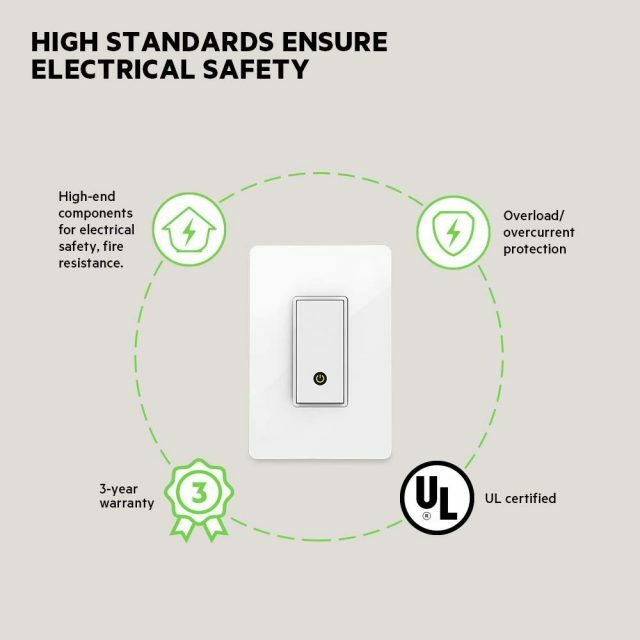 The Wemo Light Switch also functions like a normal switch: simply press the switch to toggle your lights on or off.